SaaS affiliate software is what the best companies use to grow their top line revenue. Dropbox used an affiliate program with a twist to build a multibillion dollar brand. AirBnB went from a little more than 100k users in 2010 to over 100 million users in 2017. This was due in part to implementing the right SaaS referral software. While an affiliate or referral program has the potential to grow your business in the blink of an eye, a lot of factors are in play. I can’t show you how to engineer virality in a single post, but I can help you choose the right SaaS referral software for your business. 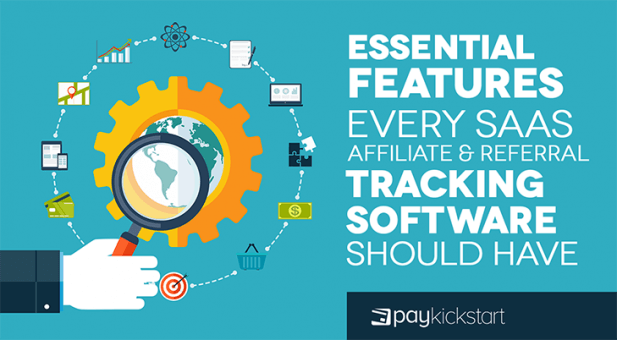 In this post, I’ll go through the must have features for any affiliate software you’re considering. There are few things as effective as a recommendation to drum up new business. 84% of B2B transactions started with a referral and, according to a Neilson survey, 83% of people say they trust the recommendations of friends and family. Online reviews and influencers are the closest thing you have to friends and family? 88% of people rate online reviews as high as recommendations from family members. 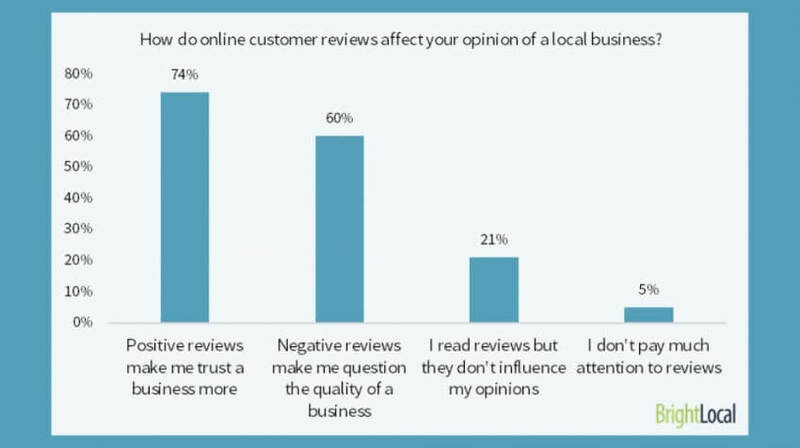 74% of those people say a positive online review makes them trust the business more. If you’re not currently using affiliate influencers and referrals then you’re leaving a lot of money on the table. Your saas affiliate software has to be equal to the challenge or you’ll only see mediocre results. It takes a lot of effort to market products as an affiliate and most people can’t be bothered to go out of their way to refer customers to you – unless you give them a good reason. Your software should be an asset, not a hindrance to your growth. That’s why it’s important to know what features to look for in affiliate software and make the most of them. Some things are nice to have and others are nonnegotiable. The nice to haves will be peculiar to your business but the must haves are universal. This is a list of the universal features. At first, you may only have a handful of affiliates so you can manage them yourself. It becomes much more difficult when you have dozens or hundreds of affiliates. How do you do it without eating up all of your waking hours? You choose software that’s built to make your life easier. PayKickstart allows you to handle all of this with just a few clicks from your affiliate management dashboard. All businesses are different and the payout schedule that works for Acme Inc. may not work for you. Your referral software shouldn’t force you into a rigid payout schedule. A lot of the referral software on the market just wasn’t built to cater to your needs. Maybe you trust some affiliates more because they’ve been with you for a while or some affiliates have dubious patterns in their referrals. The reason doesn’t matter. What matters is that you have control over how payouts work. With PayKickstart, you’re able to set up recurring payouts, choose how quickly people get paid, and even put commissions on hold for further review. Most affiliate software only allows you to pay out commissions after a sale. What if you’ve got a high ticket product and many of your deals don’t close in the end? It could discourage affiliates from working with you because payouts are few and far between. Conversely, you may have a fully optimized funnel and don’t want to pay affiliates based on the sale but for a different action. We all have different goals and avenues to reach them. You shouldn’t be forced to do business the same way everyone else does. We live in a digital world where everything can be tracked. Whether or not it should be tracked is a debate I won’t get into here. As far as referrals and affiliate sales are concerned, they absolutely should be. Your tracking has to be clear and reliable for both you and your partners. Empower your affiliates by letting them create unique tracking links and sub-IDs. They’re able to monitor which traffic sources are bringing in the most revenue for them. With that information, they can double down on the most profitable channels and make both of you more money in the end. As a business owner, you’re well aware of the challenges associated with marketing your products and services. 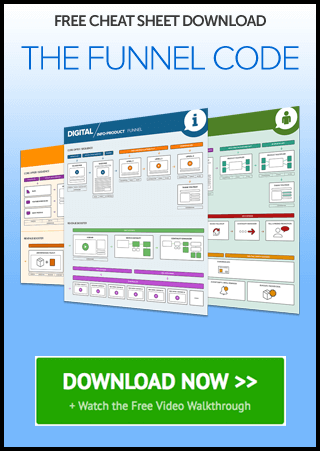 You have to get the audience right, put out the correct message, and optimize the sales funnel over time. You didn’t figure it out in a few weeks. In fact, it’s always a work in progress. It’s something you get better at over time. Would it be reasonable to expect your partners to have it all figured out after signing up to promote your products or refer their friends? The issue that you won’t be able to coach each of them when your program gets larger than a handful of people. The best way to bridge that gap is to create marketing materials which are available to them on demand. They can swipe and use them as the need arises. This presents another challenge. How do you deliver all of this marketing goodness in a way that’s efficient? Emails get lost and in app messages are only seen once. A better way would be to create a dedicated section in the referral portal where you can provide marketing materials everyone can access. Of course, we’ve got you covered. Upload all your marketing materials and make it available to your affiliates. If it’s no longer useful then remove it and upload new content. Few features are necessary in saas affiliate software. The ones that are should be simple and effective or it’ll hurt more than help. If your current software is lacking any of these features then it’s time to switch. Let me know what you think of my saas affiliate software features in the comments.